Samsung's latest flagship devices are two of the most beautiful, powerful smartphones ever made. And amazingly enough, thanks to legendary root developer Chainfire, the Samsung Galaxy S7 and Galaxy S7 edge are about to get even more powerful. IS ROOTING MY PHONE REALLY IMPORTANT? However, if you don’t want to activate root access, then flash the file. The TWRP Recovery file we are using on this particular article works on Exynos variant of Galaxy S7 alone but the update TWRP file for Snapdragon variant of Galaxy S7 will be out soon for you guys. 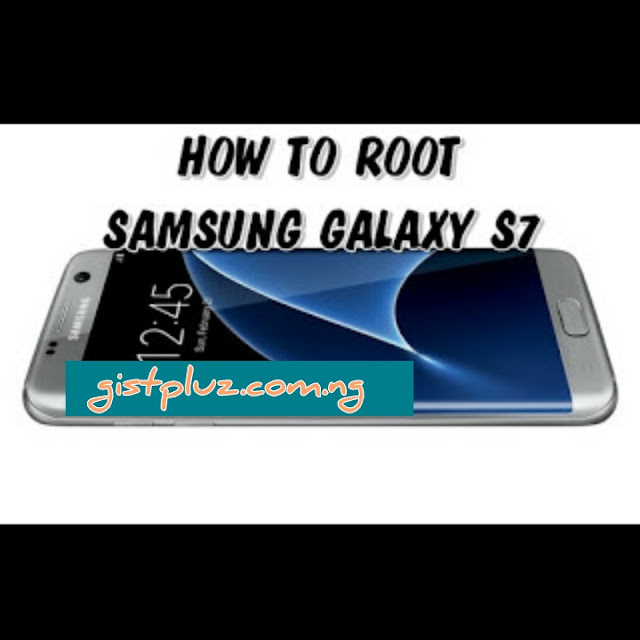 ==> I hope by now you have downloaded and installed Samsung Galaxy S7 drivers. If not do so now! ==> Activate USB debugging on your Samsung Galaxy S7. To enable it, navigate to your phone's settings > Developers option, and enable from there. But if you didn't see developers option, then go to About Phone under settings, and slide down to Build number, then tap it up to 7 times, and you will get a message welcoming you as a developer. Now, navigate back to settings > developers option and enable USB debugging function. ==> Now download TWRP Recovery file from the links I provided above, and unzip the file using winrar or any other unzipping app or software, and move it to your computer's desktop screen for easy access. ==> The next step is to boot your Samsung Galaxy S7 into Download Mode. To do this, simply power off the phone and then press, Volume Down + Home + Power. Press Volume Up now to continue to Download Mode. 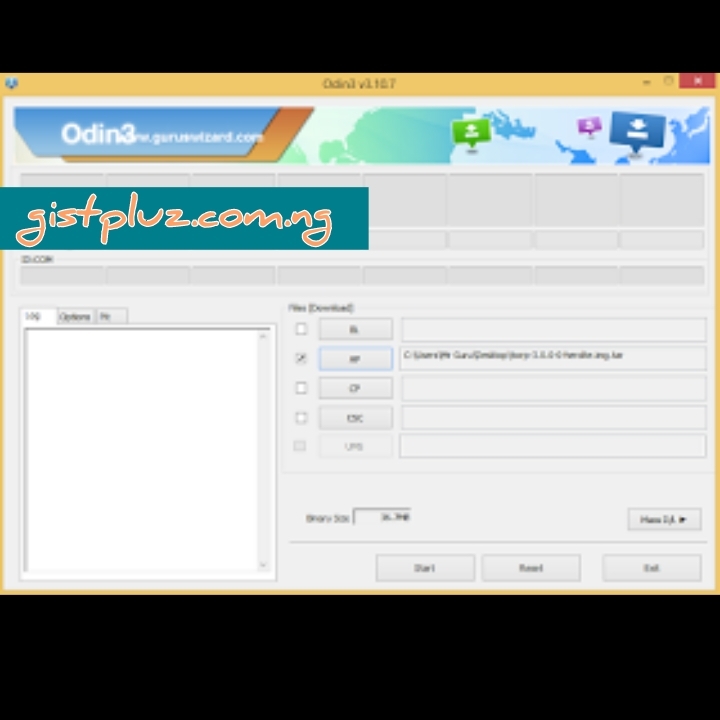 ==> Now that your device is on download mode, launch the ODIN software you downloaded on your PC and simply connect the phone to your PC with and original USB chord and the ODIN application should signal an added message. At this stage, a blue box would appear on the ODIN screen if all drivers are installed properly, but if you didn't see it, then re-install and restart the PC. ==> Now choose AP in Odin and just make selection of the TWRP Recovery file that you have downloaded, which is the the .tar extension. Also it is important to make sure that the re-partition is not marked in the odin. ==> We are almost through, now click on the start button, and the rooting process would start immediately. At the end of the process, you would see the RESET or PASS message on the ODIN screen. ==> Finally, boot your phone to TWRP Recovery menu, to do this, simply press and hold Volume Up + Home + Power for few seconds together and it will take you straight to the TWRP recovery menu. ==> At this point you see a system modification screen. Just swipe to the right to continue. However, in case you are having some issues with booting, just flash the “dm-verity and force encryption disabler” file but this will make your device unrooted again then you will install the “SuperSU” and it would give your phone root access again. Note that if none of these two files are flashed on your phone, you may get stocked on bootloop. So that's why I advice that you select one of either “dm-verity and force encryption disabler” or “SuperSU” and install on your Galaxy S7 device while carrying on this process. ==> Don't forget to wipe and format all data, then find any of the SuperSU file and flash it to have root access. But If you want to leave your Samsung Galaxy S7 un-rooted, just install the “dm-verity and that's all. This is how you can root your Samsung device running on Android 6.0 Marshmallow OS. If you want to check and verify root access and to be sure your device is successfully rooted, just go to Google Playstore and search for root checker, download it and use it to verify your root access.